UK is one of the most powerful countries in the world. The country is has always been famous for its beauty and classy look. There are so many people in the world who visit UK in large numbers every year. The people of UK welcome the foreign travelers with their arms wide open without any discrimination. The foreign students who do not reside in UK must apply for UK student visa. Students can only apply for the visa if they intend to do full time course in the country. 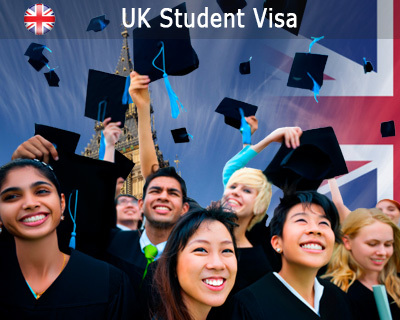 The UK student visa is granted for the students who want to study part time. The student visa which is granted for the foreign students in order to enter the country and study is called as the UK Tier 4 student visa. The students are assessed on points’ based system to check if they are eligible for a UK student visa. The student is required to get 40 points in order to apply for a student visa. The student must receive a course conformation of acceptance for studies (CAS) from the university which is approved by the UK visa and immigration. These are rated with 30 points. Many ‘A rated’ colleges can also grant CAS. The student must be able to provide enough proof to pay your course tuition fee and your monthly living costs. 10 points are given for this. International students are required to prove that they have knowledge of the language when they apply for the student visa. This can be also done by passing the English language test. The language of the student must be at least on B1 level on the common European framework of reference. If you want to study in UK, contact us by filling our Enquiry Form, so that one of our visa execuitve will approach you.